In 1854 at age 23, Henry C. Whitney relocated to Urbana and entered the practice of law. “I became acquainted with Lincoln,” Whitney wrote over three decades later. “It was about the time of my first appearance at the bar. I did not feel the slightest delicacy in approaching him for assistance; for it seemed as if he invited me to familiarity if not close intimacy at once; and this from no selfish motive at all – nothing but pure philanthropy and goodness of heart to a young lawyer just beginning his career.”1 Whitney became a friend and political ally of Mr. Lincoln and lawyer from Urbana with whom he worked on Illinois circuit. Whitney apparently also held himself in greater regard than the President did. Whitney repeatedly asked David Davis for his assistance. “I lobbied long and hard for a patronage position. David Davis wrote a friend: “Whitney is here & has got nothing & wants me to write to Mr. Lincoln for him. I told him I had written once & spoken to Mr. Lincoln 4 or 5 times & was not disposed to write again.”15 After turning down one position, in August 1861 Whitney was appointed paymaster of volunteers and stationed at Louisville, Kentucky. He told Herndon, however, that he would have been “satisfied with a lesser place.”16 Whitney tried to get transferred in early 1864 to Fort Leavenworth, Kansas. Douglas L. Wilson and Rodney O. Davis, editor, Herndon’s Informants, p. 734-735 (Jesse W. Weik interview with Henry C. Whitney, ca. 1887-1889). Douglas L. Wilson and Rodney O. Davis, editor, Herndon’s Informants, p. 735 (Jesse W. Weik interview with Henry C. Whitney, ca. 1887-1889). Douglas L. Wilson and Rodney O. Davis, editor, Herndon’s Informants, p. 617 (Letter of Hency C. Whitney to William H. Herndon, June 23, 1887). Douglas L. Wilson and Rodney O. Davis, editor, Herndon’s Informants, p. 733 (Jesse W. Weik interview with Henry C. Whitney, ca. 1887-1889). Douglas L. Wilson and Rodney O. Davis, editor, Herndon’s Informants, p. 406 (Letter from Henry C. Whitney to William H. Herndon, ca November 1866). Douglas L. Wilson and Rodney O. Davis, editor, Herndon’s Informants, p. 709 (Jesse W. Weik interview with Henry C. Whitney, ca. 1887-1889). Henry Clay Whitney, Life on the Circuit with Lincoln, p. 97. 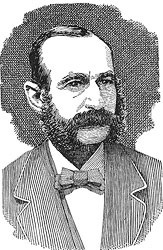 Henry Clay Whitney, Life on the Circuit with Lincoln, p. 68. Henry Clay Whitney, Life on the Circuit with Lincoln, p. 422. Henry C. Whitney, Life on the Circuit, p. 37. Douglas L. Wilson and Rodney O. Davis, editor, Herndon’s Informants, p. 399 (Letter from Henry C. Whitney to William H. Herndon, November 13, 1866). Douglas L. Wilson and Rodney O. Davis, editor, Herndon’s Informants, p. 405 (Letter from Henry C. Whitney to William H. Herndon, ca November 1866). Douglas L. Wilson and Rodney O. Davis, editor, Herndon’s Informants, p. 619 (Letter from Henry C. Whitney to William H. Herndon, June 23, 1887). Benjamin P. Thomas, Portrait for Posterity: Lincoln and His Biographers, p. 165. Don E. and Virginia Fehrenbacher, editor, Recollected Words of Abraham Lincoln, p. 490. David W. Hill, “Henry Clay Whitney: A Reliable Source for Lincoln Research”, Lincoln Herald, Volume 102, No. 4, Winter 2000, p. 181. David W. Hill, “Henry Clay Whitney: A Reliable Source for Lincoln Research”, Lincoln Herald, Volume 102, No. 4, Winter 2000, p. 178.